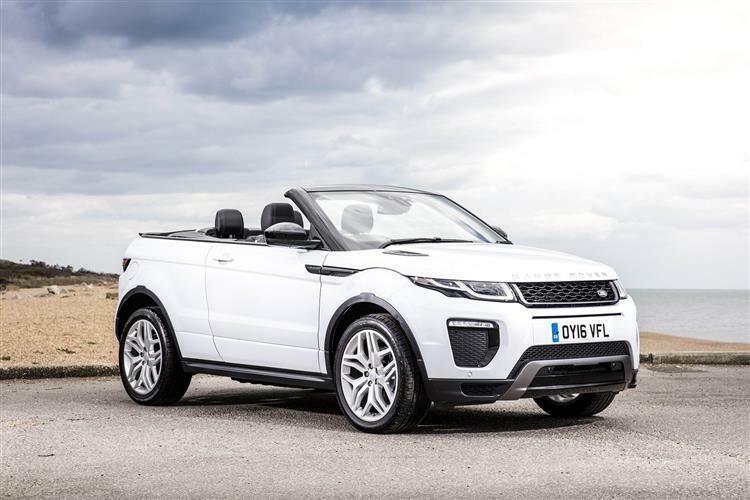 The Range Rover Evoque has always been desirable but Land Rover hopes that the availability of this sleek Convertible bodystyle will take demand to a new level. It certainly looks sleek and the engineering has been completed in such a way that buyers still get a practical four-seat cabin with reasonable bootspace. Plus that legendary off road ability is unaffected. 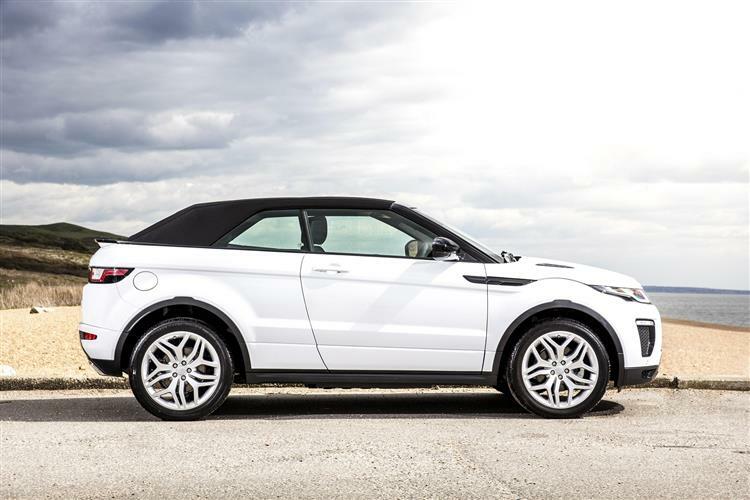 Range Rover's Evoque has always set the pace in the compact SUV sector. Now it's the first such car to offer a Convertible bodystyle. The experts at Car & Driving check this model out. You might never have considered the idea of an SUV Convertible. Most car makers haven't. 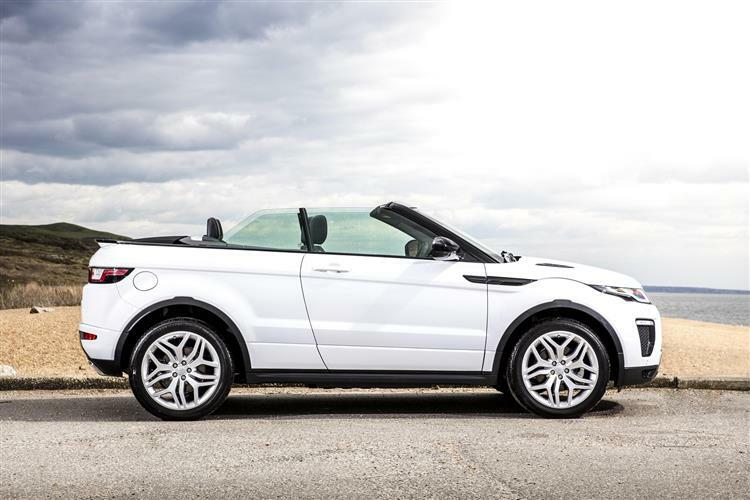 Land Rover though, has decided that it's time for one and has brought us this rather pretty Evoque Convertible in a move that competitors are sure to follow. It's the first time the marque has developed any kind of proper convertible model. This drop-top model includes all the things that have lately improved the fixed-top version of this car. Namely an efficient Ingenium TD4 diesel engine, classy cabin features and a much improved infotainment system. The result is anything but an inexpensive package but it's an undeniably very unique one. So, what's it like? Very nice indeed actually. The engines are carried over from pokier versions of the standard fixed-top models, which means that buyers get a choice of either a 180PS TD4 diesel unit or a 240PS 2.0-litre turbo Si4 petrol powerplant. Diesel buyers get the choice of permanent 4WD or an 'Active Driveline' 4WD set-up that defaults to 2WD in tarmac use. This 'Active' set-up's standard on the petrol Si4 which makes 62mph from rest in 7.8s en route to 130mph. The TD4 diesel should feel stronger through the gears though, thanks to a potent 430Nm of torque. 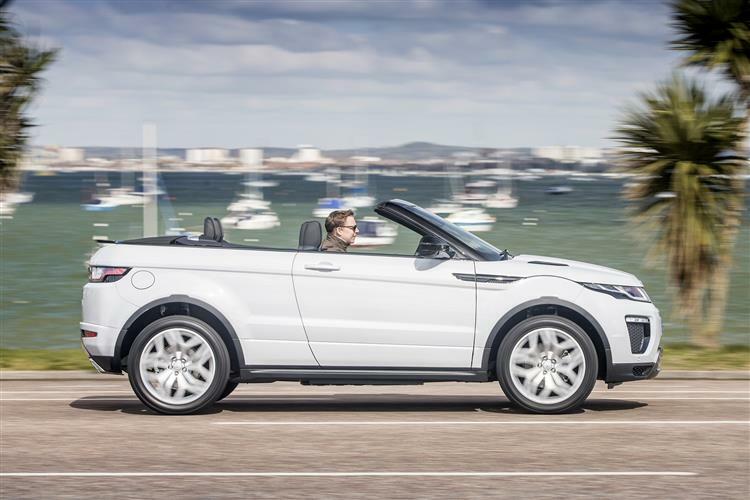 Evoque Convertible buyers have to have the brand's smooth-shifting 9-speed ZF automatic transmission. On 'Active Driveline' 4WD models, a 'Torque Vectoring by Braking' feature further enhances agility and safety by redirecting torque to counteract understeer. Off-road ability is enhanced with the fitment of All-Terrain Progress Control. This function maintains a pre-determined speed - selected using the cruise control function - in forward or reverse gears between 1.1mph and 19mph, allowing the driver to concentrate on negotiating tricky terrain. 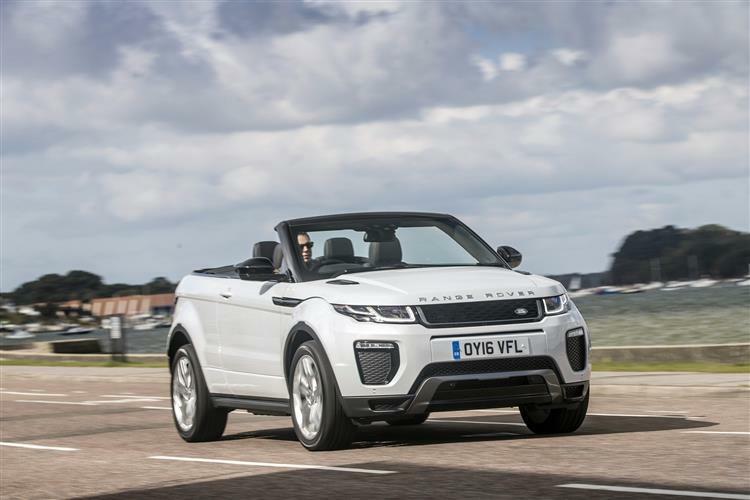 The Convertible bodystyle is based on that of the three-door Coupe version of the Evoque but adds a Z-fold electric fabric roof that can lower in 18 seconds (at speeds of up to 30mph) and rise again in just 21 seconds. In addition, an optional rear wind deflector can be quickly installed between the rear three quarter trim panels, enhancing refinement when the roof is stowed. 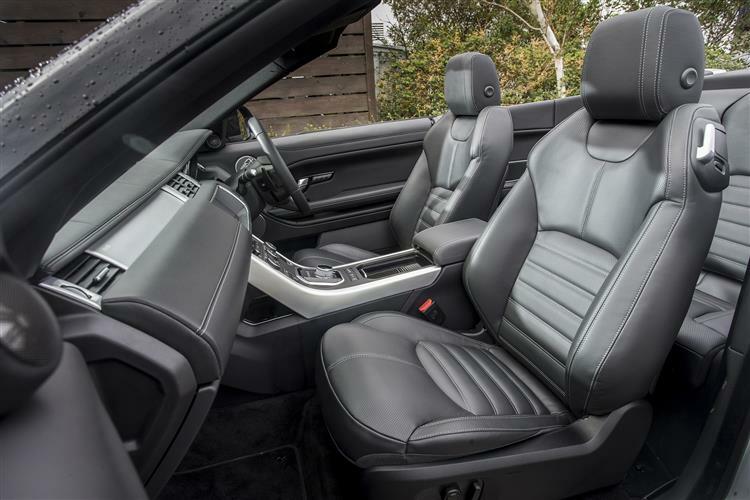 Once the roof is lowered, discreet hinged panels located at the rear of the interior fold flush to conceal the mechanism, ensuring that the Evoque's contemporary lines retain a clean and uncluttered appearance. A Roll-Over Protection Device features deployable roll-over bars hidden in the rear quarter panel. 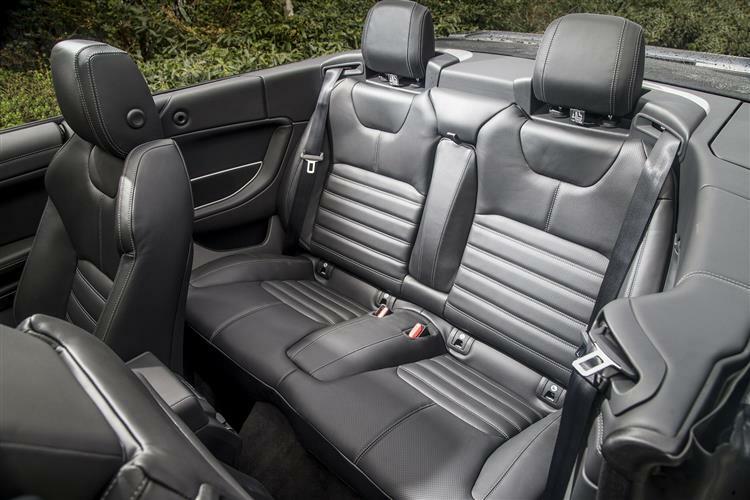 As for the interior, well you get a four-seat cabin defined by luxury materials and soft-touch surfaces. The strikingly minimalist dashboard architecture juxtaposes the bold horizontal sweep of the instrument panel with the dynamic vertical rake of the centre console. 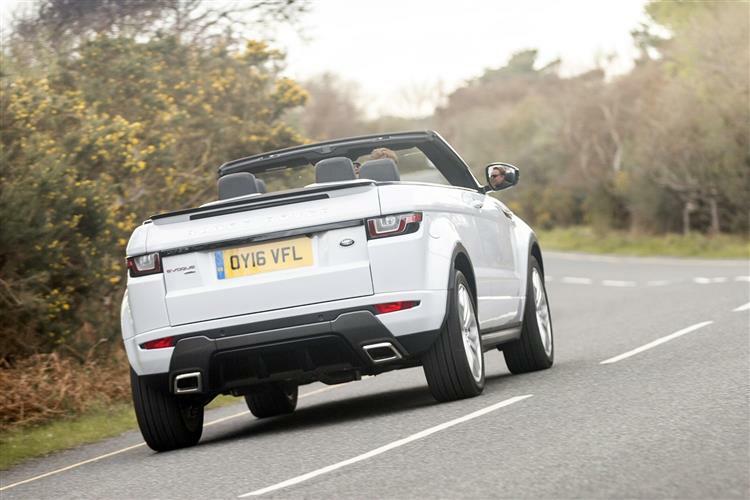 All Evoque Convertible models feature fixed twin rear seats, with a central bolster, and revised quarter trim speakers. 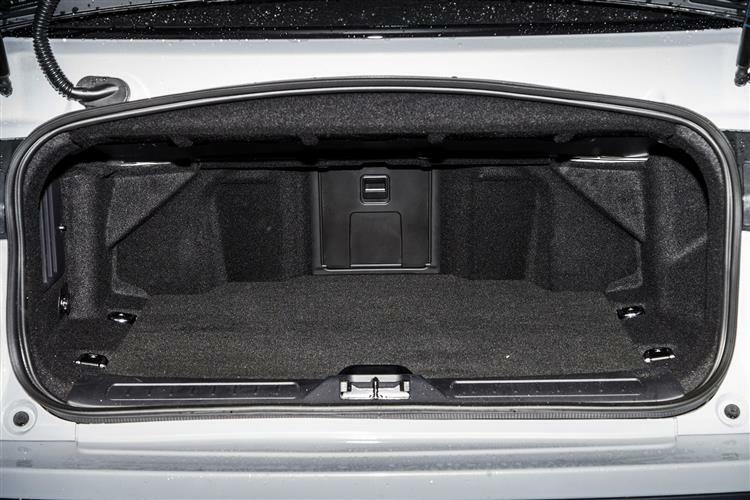 Out back, the boot offers 251-litres with the roof open or closed and there's an optional ski-hatch for longer items. 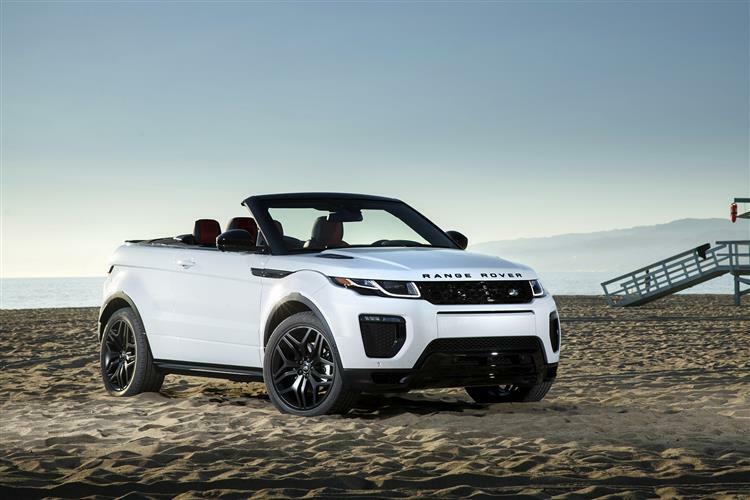 Aware that demand for this Convertible model will be very strong, Land Rover has chosen to launch it only with two of the Evoque range's plushest trim levels - 'HSE Dynamic' and 'HSE Dynamic Lux'. That means buyers will need to find quite a budget for ownership - either just below or just above the £50,000 mark. There's a choice of TD4 diesel and Si4 petrol engines and, on the diesel, the option of either permanent 4WD - or the part-time system you get with the Si4. All variant must have auto transmission. Of course for the high asking prices, you'd expect an awful lot of kit - and you get it. The kit tally includes a 'InControl Touch Pro' infotainment system with a huge 10.2-inch screen. This gives you access to a 10-speaker Meridian sound system incorporating a sub-woofer and a DVD hard disc drive audio server, as well as voice control and sophisticated 3D Navigation with Dynamic Route Guidance. 'HSE Dynamic' buyers also get a smart bodykit, large 20-inch wheels, a rear camera, stainless steel pedals and 12-way front seat adjustability. The 'HSE Dynamic Lux' model adds a surround view camera system, keyless entry, a Park Assist system that'll steer you into space and Dual View functionality for the display screen so that the driver and front passenger can watch different things, possibly via the included Digital TV tuner. 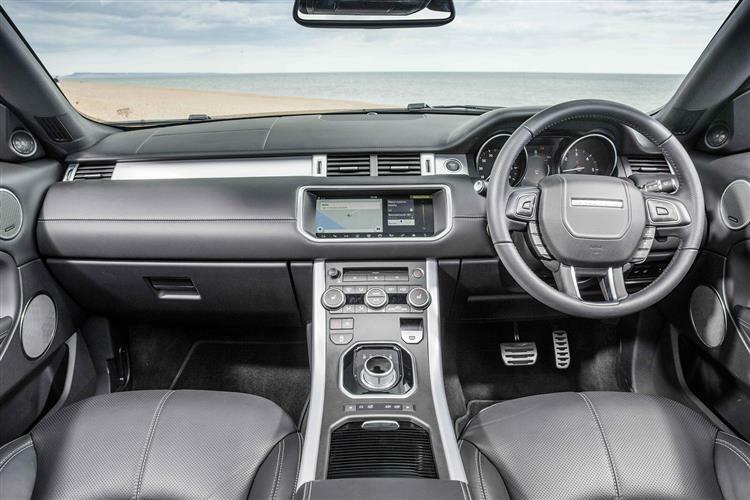 One of the biggest drivers for this Evoque's development is to improve efficiency. The all-aluminium Ingenium TD4 diesel engine delivers fuel economy of up to 55mpg in this Convertible model and low carbon dioxide emissions (for a 4WD soft top) of 149g/km. Inevitably, the Si4 petrol model doesn't do quite as well, recording 32.9mpg on the combined cycle and 201g/km. The EU6 TD4 unit uses variable exhaust valve timing and selective catalytic reduction for extra cleanliness and, as with most modern diesels, there's an AdBlue after-treatment system that sprays an aqueous urea solution into the exhaust system, neutralising harmful gases like nitrogen oxide. Plus, as you'd expect, this powerplant is equipped with the latest stop-start technology that switches off the engine in just 300 milliseconds when the car is stationary. This is the kind of car Land Rover needs to be making. The kind of model that will lower the brand's age demographic - and get people talking in the showrooms. Yes it's pricey - and the extra weight of the drop-top bodystyle compromises efficiency (and practicality) a little. Still, we don't think that too many potential buyers will worry very much about these issues. These people will be attracted by the idea of enjoying what is currently the market's only SUV convertible. 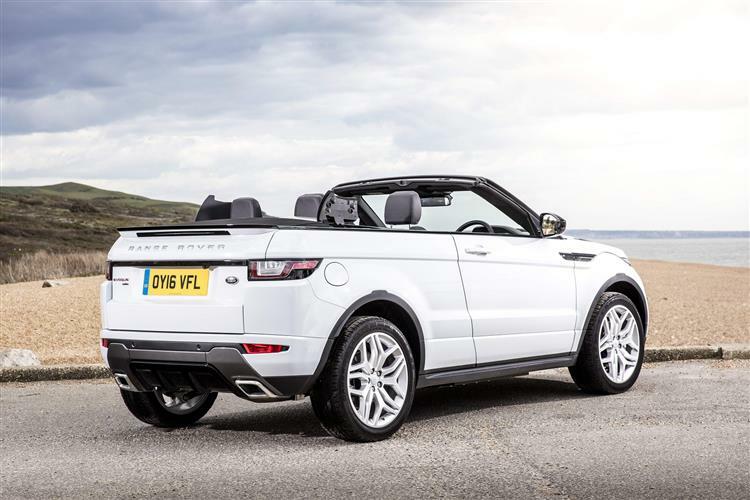 The idea of taking to the desert with the roof down has an undeniable appeal. As does this car. If you can afford it, we think you'd like one.